Keep up on the latest lagoon-related news and events. Have you heard the term "living shorelines" and wondered what they are? Unlike traditional erosion control structures, such as bulkheads and seawalls, living shorelines stabilize the shoreline using more natural techniques. By incorporating a variety of structural and organic materials, these features protect against shoreline erosion and storm surge, while creating fish and wildlife habitat. To learn more, view the county's Lake Worth Lagoon Living Shorelines poster and stay tuned for updates on future living shoreline projects in the lagoon. 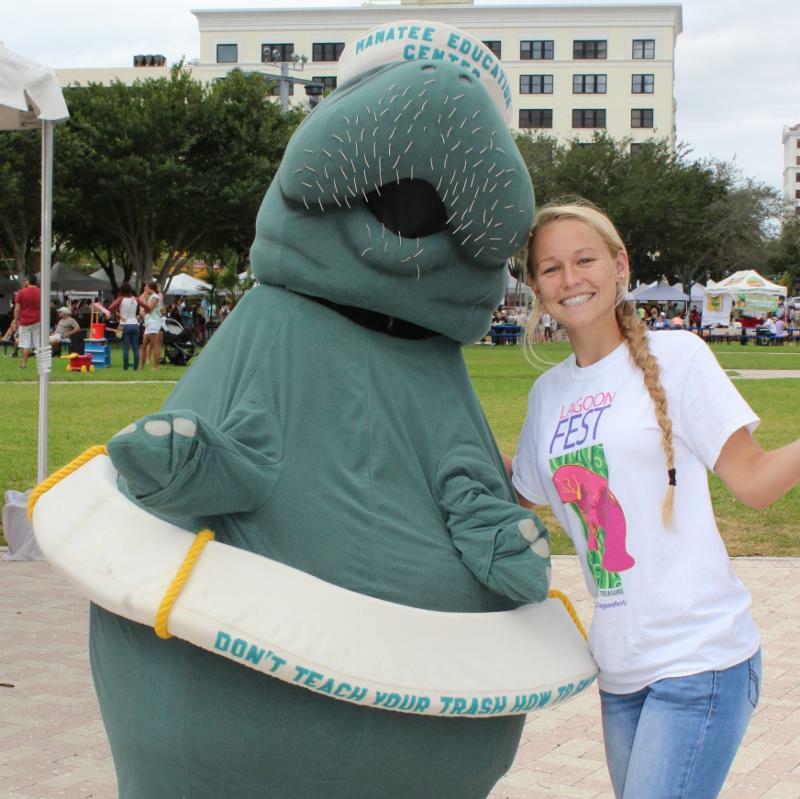 A few clouds and a little mist couldn't dampen the enthusiasm for celebrating Lake Worth Lagoon at the second annual LagoonFest on November 14, 2015. Nearly a thousand people attended the free, family-friendly festival held along the downtown West Palm Beach Waterfront. With more than 40 exhibits and activities including complimentary kayak and water taxi eco-tours, it was easy for visitors to explore the marvels of Lake Worth Lagoon. Mark your calendars for the next LagoonFest - Saturday, November 12, 2016! 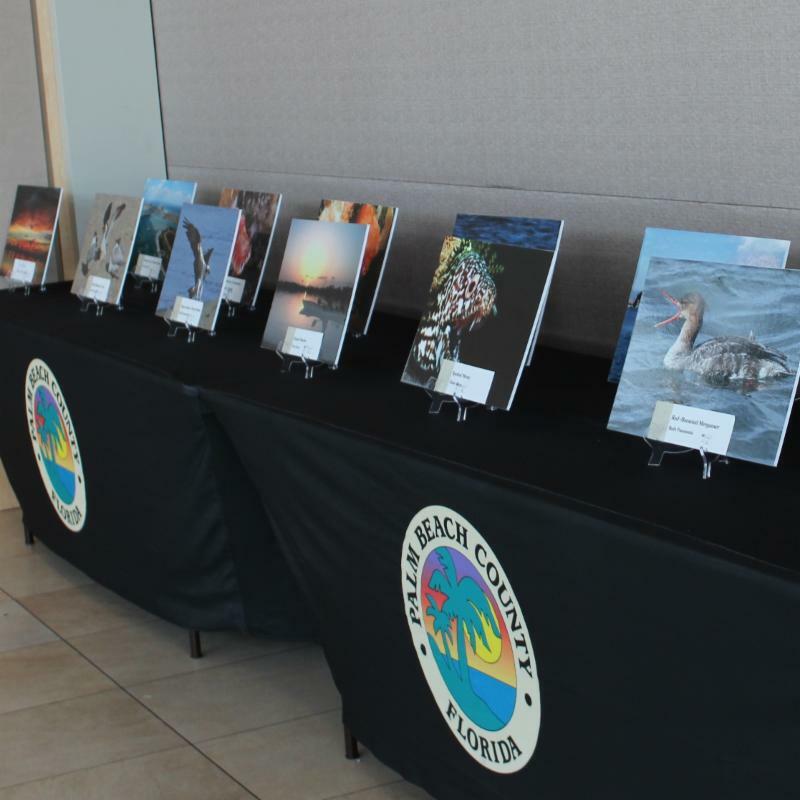 Congratulations to the winners of the 2016 Lake Worth Lagoon Photo Contest! Their photos were on display at LagoonFest and included in the calendar given to attendees at the event. The photographers whose submissions were selected as monthly photos included: Elaine Blum, Paul Davis, Anne DuPont, Michelle Klinges, George Lacosta, Deborah A. Moroney, Ruth Pannunzio, Gael Silverblatt and Robert A. Yastrzemski. During this colder time of year, more manatees may be found in our county's waterways. To help protect these endangered marine mammals, manatee speed zones are in effect from November 15 to March 31. With support from the Palm Beach County Manatee Law Enforcement Grant Program, several law enforcement agencies will be increasing their presence, up to 1,700 extra hours, locally on the water during this time of year. Boaters can do their part by slowing down, obeying all regulatory signs and keeping an eye out for these gentle giants. View more tips for protecting manatees. Manatee Lagoon -- An FPL Eco-Discovery Center located on the shoreline of Lake Worth Lagoon in Riviera Beach is scheduled to open Saturday, February 6. 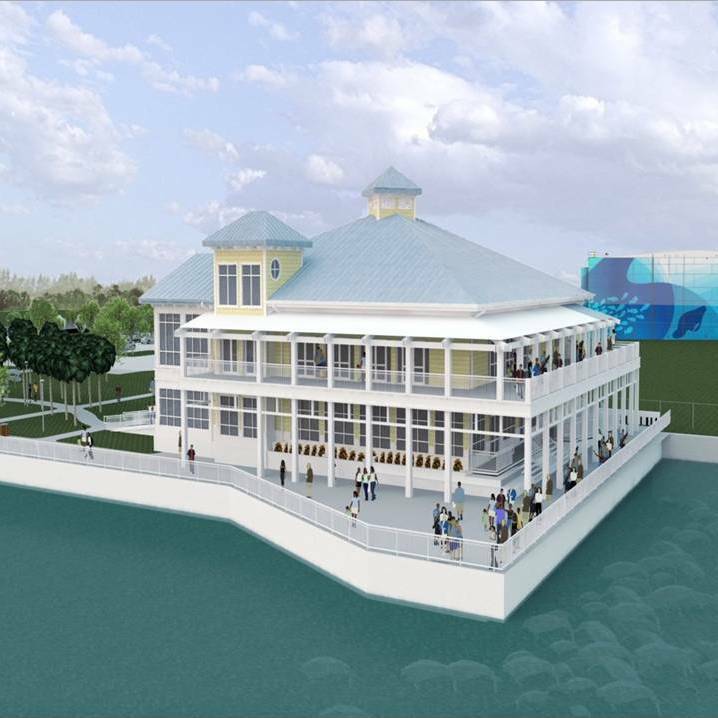 The center will feature engaging exhibits for visitors to learn about manatees and Lake Worth Lagoon along with waterfront viewing areas, gift shop, café and picnic pavilion. 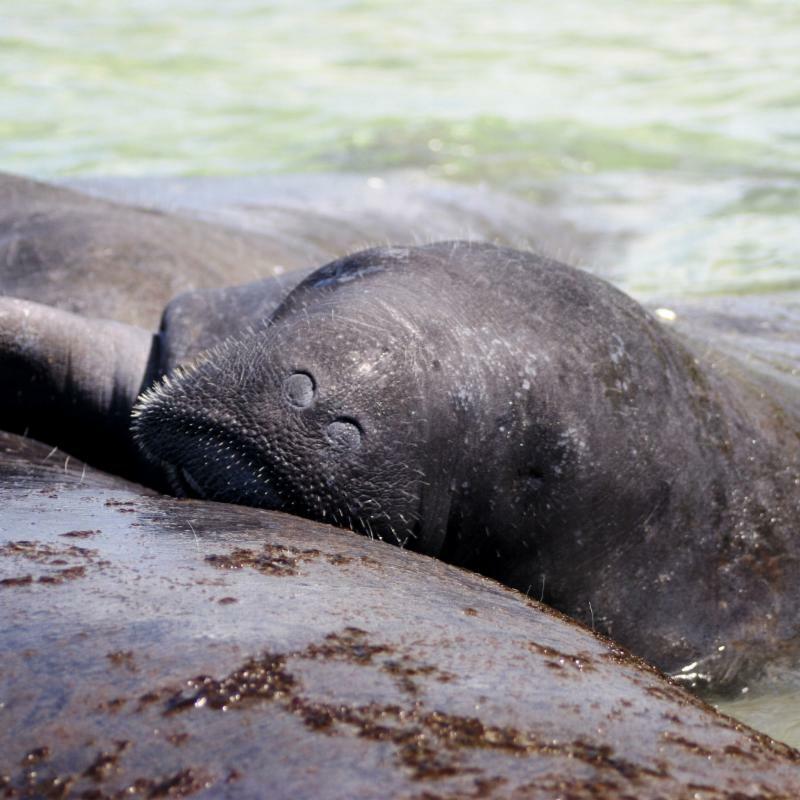 Admission to Manatee Lagoon is free and the facility will be open Tuesday through Sunday from 9 a.m. to 4 p.m. In addition, Palm Beach County's Department of Environmental Resources Management and FPL are exploring options to enhance the visitor experience at the facility with projects that showcase the local ecosystem. The northern portion of the Sugar Sands Reef site, located in the lagoon north of the Blue Heron Bridge, was completed several months ago. Old bridge parts were used to create ledges, while small rock was spread over the bridge deck pieces to create small crevices. The Florida Inland Navigation District covered construction costs to mitigate for some reef impacts associated with dredging a portion of the Intracoastal Waterway. Monitoring to evaluate use of the new reef by corals, sponges, algae and other marine organisms began in December. Sponges and some corals, along with schools of snook, snappers and baitfish, are expected to make fast use of the site. View a map of lagoon artificial reefs. Download the county's Artificial Reef Program brochure. If you are interested in becoming a citizen scientist for our community, Loggerhead Marinelife Center has an opportunity that might be right for you. 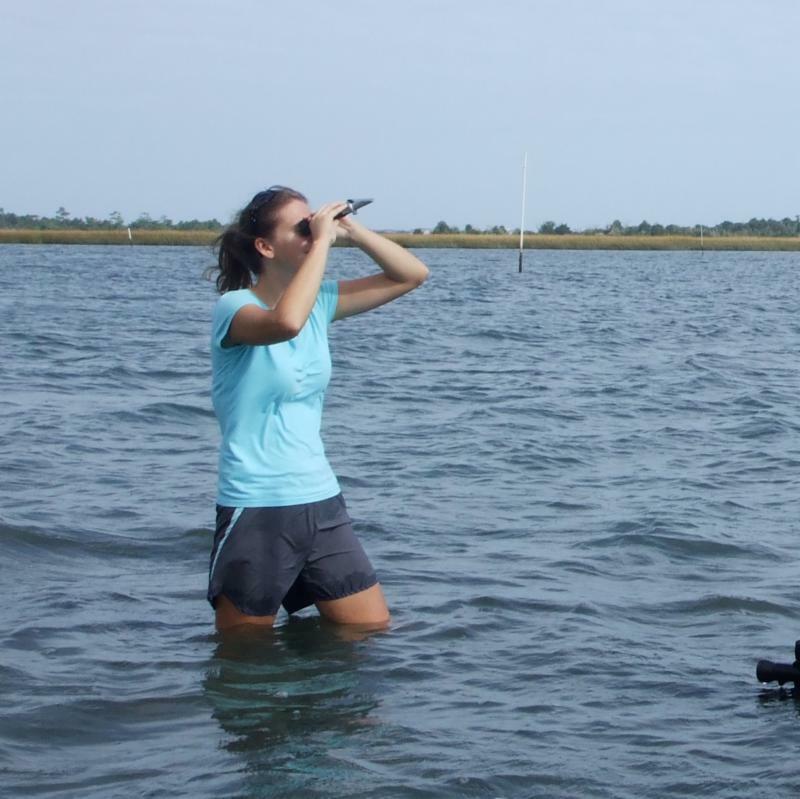 The center has launched a water quality monitoring program that integrates state-of-the-art research techniques and equipment with hands-on monitoring for local residents, as well as teachers and students. Their next public workshop will be held at their facility in Juno Beach at 2 p.m. on Saturday, February 13. Participants will learn about water quality within Lake Worth Lagoon, as well as sampling techniques. Those interested in attending should contact Kerri Allen at kallen@marinelife.org. A couple of central lagoon restoration sites are a little greener thanks to a group of volunteers including members of the West Palm Beach Fishing Club. The group planted more than 1,600 red mangroves at Snook Islands Natural Area and Bryant Park Wetlands in October. If you'd like to get your hands a little dirty to help the lagoon, visit the Keep Palm Beach County Beautiful website for information on the 2016 Great American Cleanup (official date: April 23), which includes several lagoon sites. 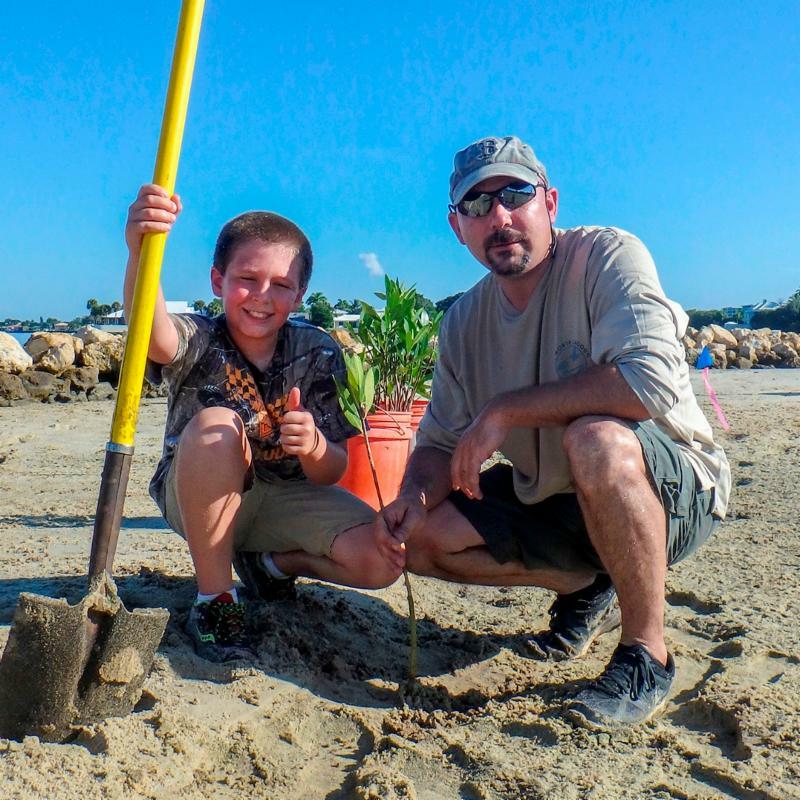 Many organizations that participate in the Lake Worth Lagoon Initiative offer opportunities for youth to become engaged in learning about and helping to restore, enhance and protect the lagoon. To help youth make a connection with the lagoon, we've compiled a list of lagoon-related youth events and activities, including cleanups, contests and festivals. The list is available from the "Get Involved" page of the initiative's website: www.LWLI.org. A local birder photographed a piping plover with leg bands at Snook Islands Natural Area in mid-November, marking the second year in a row this individual of the threatened shorebird species was seen at the site in the lagoon. 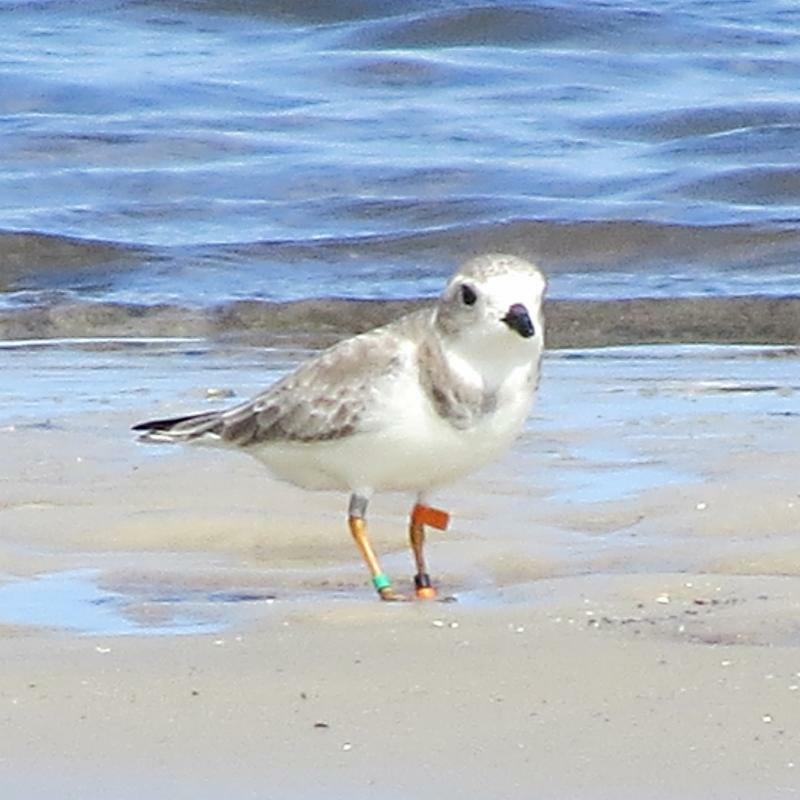 Based on the unique leg band pattern, the Great Lakes Piping Plover Band Reporting Program also confirmed this bird hatched in 2012 at Tawas State Park in Michigan and returned to breed at Au Sable, Michigan in 2014. Other recent notable observations at Snook Islands include a reddish egret and a red knot, as well as American oystercatchers. Copyright © Year. All Rights Reserved.